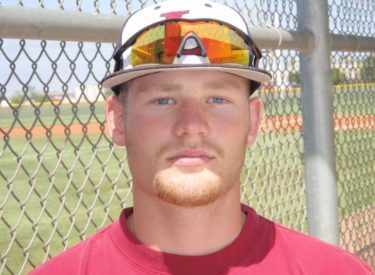 Liberal senior centerfielder and pitcher Austin Pitts is the Mead Lumber Athlete of the Week. Pitts is Liberal’s second leading hitter with a .385 batting average. He is 4-1 as a pitcher with 31 strikeouts for the 11-7 Skins. Pitts leads Liberal with 12 stolen bases in 12 attempts. His interview will air Thursday morning between 7:37 and 9 on Talkradio 1270 and kscbnews.net. Pitts and the Redskins host Scott City Thursday at 4 p.m. for Senior Recognition and the last regular season games. Next week’s playoff game or games will air on Talkradio 1270.